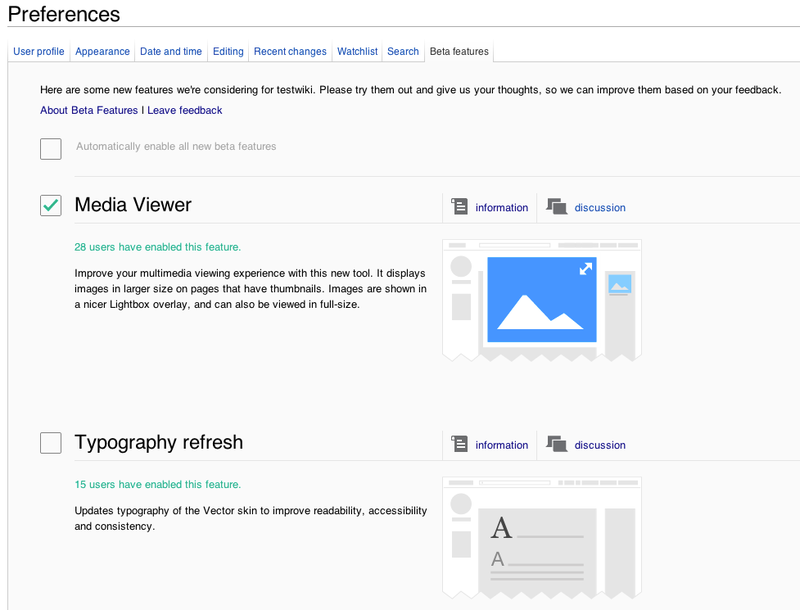 On November 7, 2013, the Wikimedia Foundation introduced new upcoming features on Wikipedia (known as Beta Features). Have you tried the features yet? What are those features? Will the features make any significant change(s) in user experience? According to the announcement, four Beta features were introduced at that time which still exist and even a few added. The features are referred to as Beta because of its unstableness. The features are in constant improving and updating, thus have not be rolled out for all. The beta features are Visual Editor and Visual Editor Formulae, Multimedia Viewer and Typography Refresh. You can also enable New Search and Near this Place beta features to enjoy enhanced user experience. The Visual Editor allows users to edit pages without the need to learn the Wiki Markups. When opted in, editing pages happen just like editing a Microsoft word document or WordPress post in Visual style mode; what you see is what you get! Adding formulae to pages are now easy to do, using the Visual Editor Formulae editing feature. The Media Viewer displays images in larger size on pages that have thumbnails. Images are shown in a nicer light box overlay, and can also be viewed in full size. The Typography refresh beta feature makes text more readable, accessible and consistent. It updates the Vector skin to use serif fonts in section headings and sans-serif in the body copy, for a better visual experience. Try our new search which supports a greater number of languages, provides more up-to-date results, and can even find text inside of templates. And lastly, try the Near this Place feature which gives you articles nearness in location to the open article. Its handy for reading related articles of a place on Wikipedia. This feature automatically pulls for you articles that have their location near to the one you’re reading. To turn these beta features on or off, go to your Preferences, and select the Beta Features tab. Enable the ones you wish and save. Refresh your page and visit any article to see some of the features in action. The features are visible only after you do something related to their function. For instance, without clicking on an image in the page, you will not notice the Media Viewer in action. Play around pages to see all or some of the features you enabled in action.